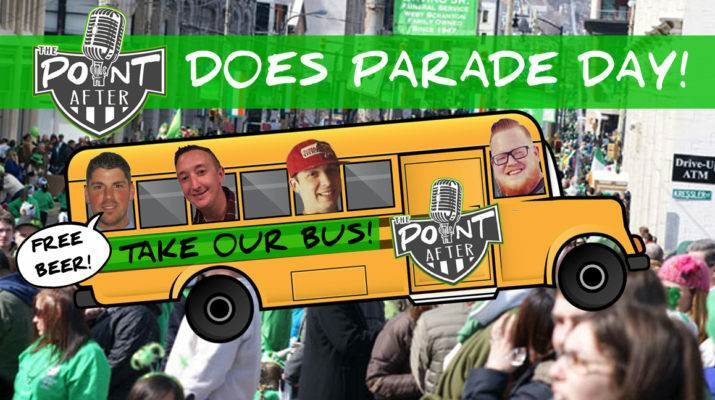 Join us at Scranton’s Parade Day! It’s a day like no other, Scranton’s Parade Day. This year, ride in style with The Point After Show to the day that single handedly keeps Scranton afloat. On March 11, tens of thousands of people will venture to Scranton, Pennsylvania to eat, drink and be IRISH. This year, we want to make sure you don’t get a DUI and have fun partying with members of The Point After Show. Don’t miss this amazing deal. We only have 48 seats available.